The more I learn about Oxfam’s work in South America—and I’ve learned a lot in recent months—the more impressed I am by the power of women. Indigenous people in countries like Peru, Bolivia, and Ecuador have experienced centuries of discrimination and exclusion. Even today, many remain trapped in poverty. That’s why Oxfam works with indigenous groups to protect their fundamental rights and increase their political and decision-making power. Sometimes solutions take the form of community-led projects, like the traditional gardens I visited in the Peruvian Amazon. 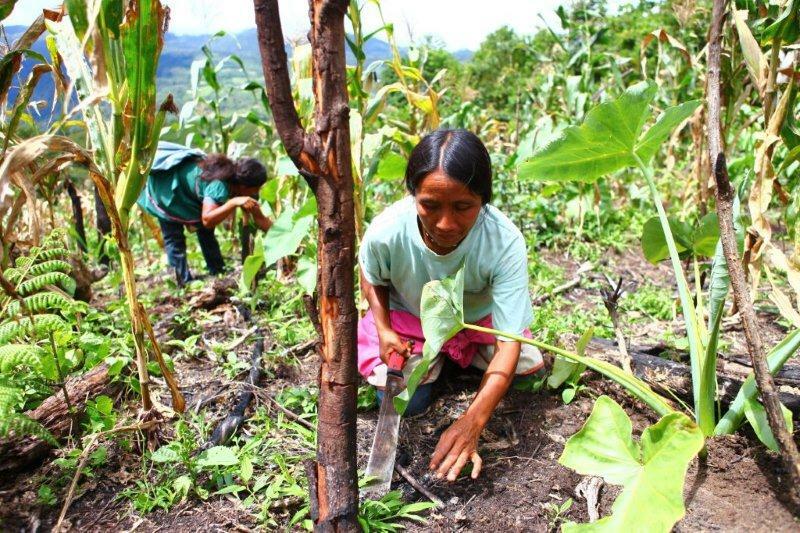 Oxfam listened to Kichwa women and created the shared gardens in response to their concerns. Young mothers like Maribel Cachique, whom I wrote about in the new OxfamExchange magazine, have transformed the gardens into a space to grow women’s leadership. Sometimes solutions come from supporting women themselves. Take Moreno, who came to the US to attend last week’s UN Forum for Indigenous People in New York. 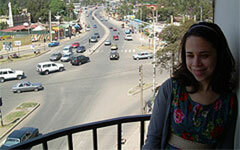 She was only 18 when she became vice president of San Bartolome, a 300-person Kichwa community in the Ecuadoran Andes. Though her father was also a leader, she soon realized that she had to earn respect in her own right. “No one listened to me at first, because they weren’t used to a woman in charge,” Moreno recalled. “I had to develop a strong personality.” As a leader, she was required to travel between far-flung communities, so she also became the first woman in her town to drive a car and to ride a bicycle. Twenty-two years later, Moreno is still breaking new ground. With Oxfam’s support, she created her role as CAOI’s first coordinator of indigenous women—helping women in four countries protect their natural resources, become advocates, and live free from gender-based violence and discrimination, among other efforts. She’s also successfully called for rules to ensure that women are fairly represented among the leadership of CAOI and other indigenous groups. 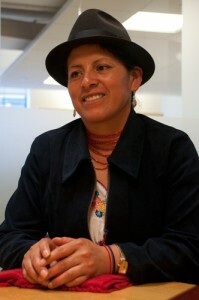 In 2009, Moreno took part in another first: a summit of indigenous women from North and South America. “It was easy to find common ground and share ideas,” she said of their meeting. That summit, plus the participation of leaders like Moreno in the UN forum and in global climate talks, raised the women’s profile in South America and beyond. Knowing what I know now about the challenges they’ve overcome, I can’t wait to see what they’ll accomplish next.